Almost all facilities depend on electrical equipment, motors, pumps, HVAC systems, etc., for daily operation. This holds true in industries from commercial real estate to industrial manufacturing to healthcare facilities. While specific applications and demands may vary, the fundamentals of maintenance are the same. 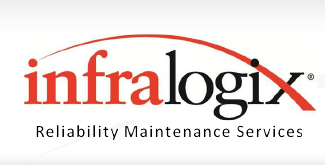 Whether it’s Reliability Consulting, Predictive Maintenance or Maintenance Support services, Infralogix can tailor solutions to meet the unique needs for each customer.